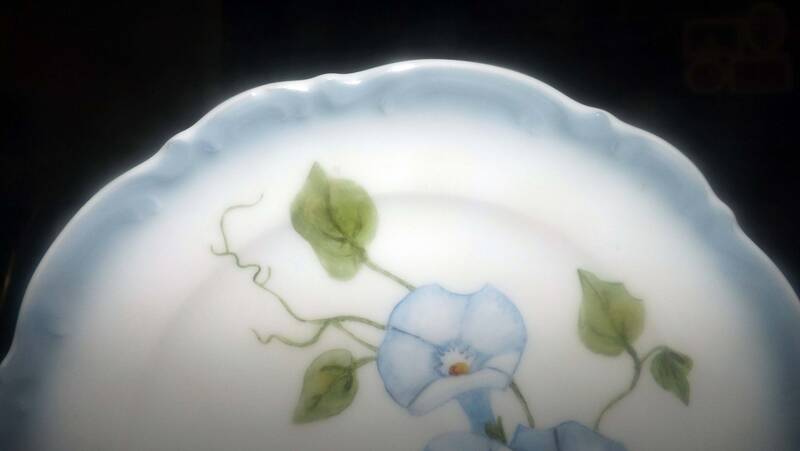 Vintage (1994) hand-painted Mitterteich Germany plate. Blue florals, greenery, embossed, scalloped edge. Signed dated to reverse. 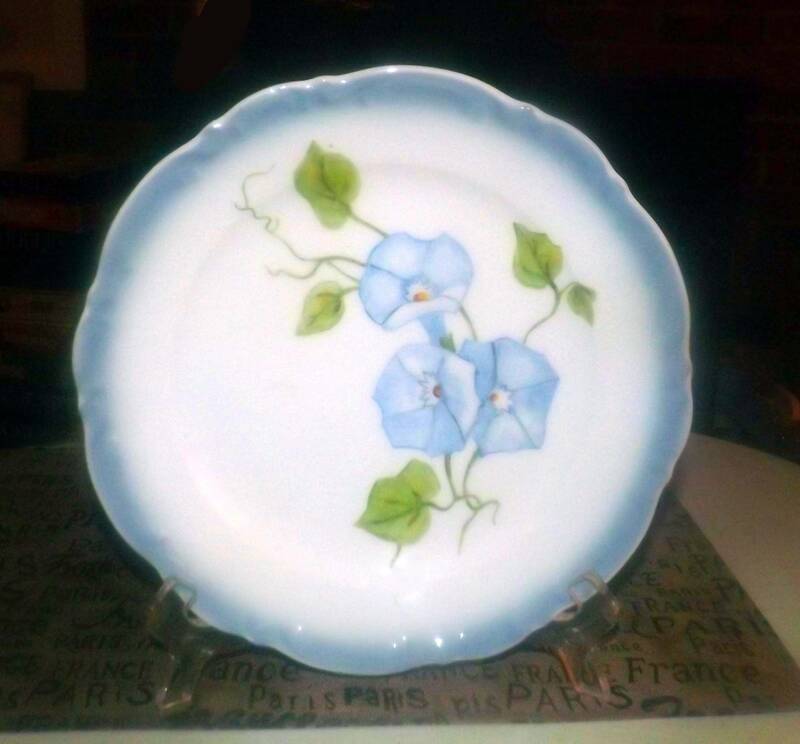 Vintage (1994) hand-painted, signed and dated Mitterteich plate featuring blue florals and foliage with an embossed edge and scalloped perimeter details. 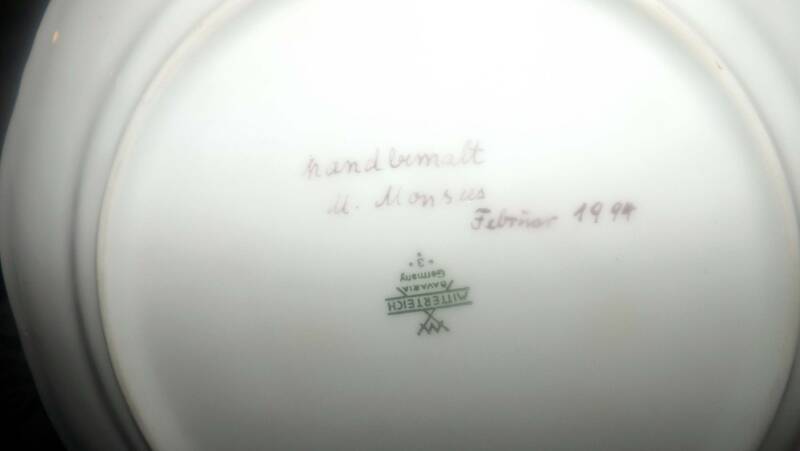 Signed M. Monsus and dated February, 1994 on reverse. 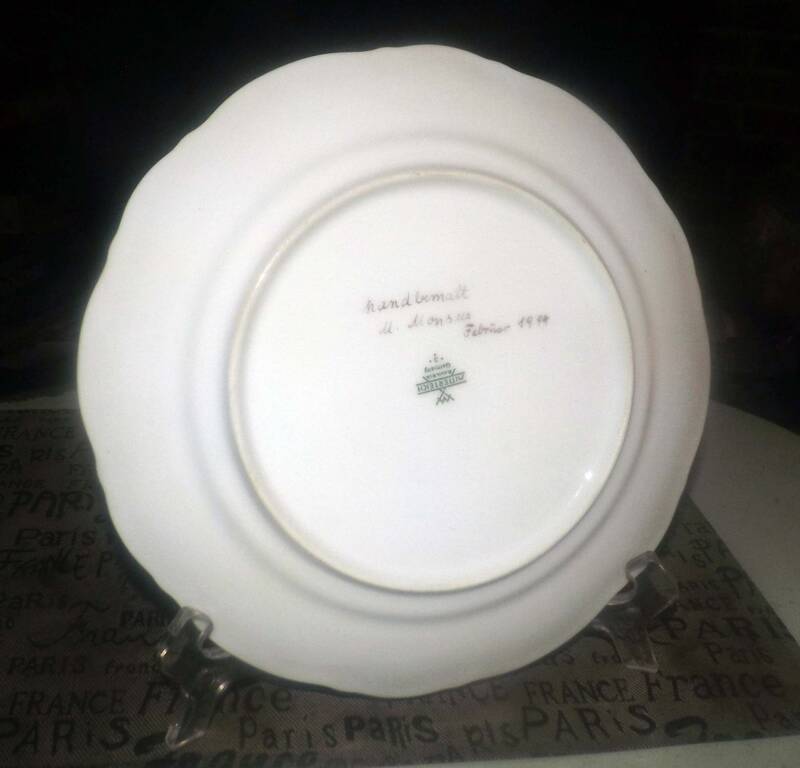 Made in Germany, this plate is in EXCELLENT! condition with NO! chips, nicks, cracks, or fleabites, NO! crazing and NO! marks, stains, scratches or other signs of use or wear. The hand-painted imagery is bright and vivid with NO! fading apparent. 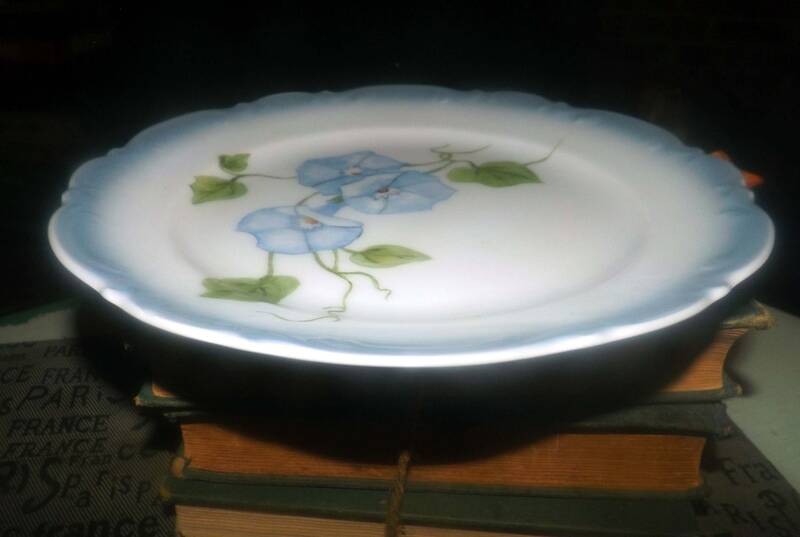 Approximate measurements: 10" in diameter (measured edge to edge across the front of the plate) with a graduated blue verge and scalloped edge.